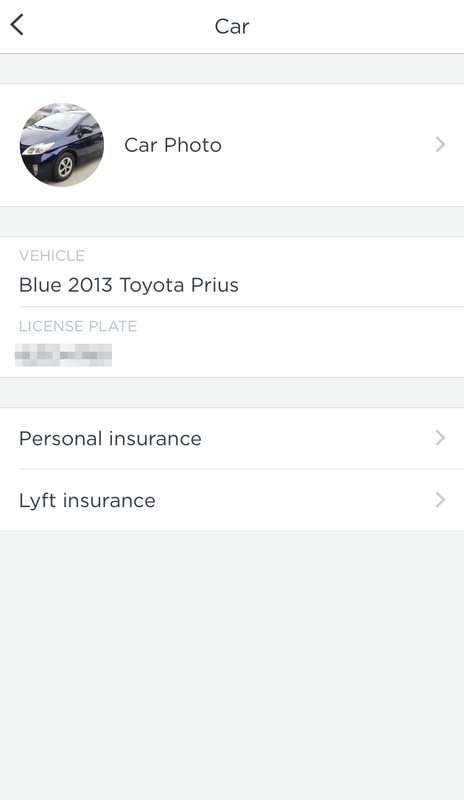 Open the app, and go to: Settings > Vehicle > Personal Insurance. Tap 'Update' at the bottom of the screen. 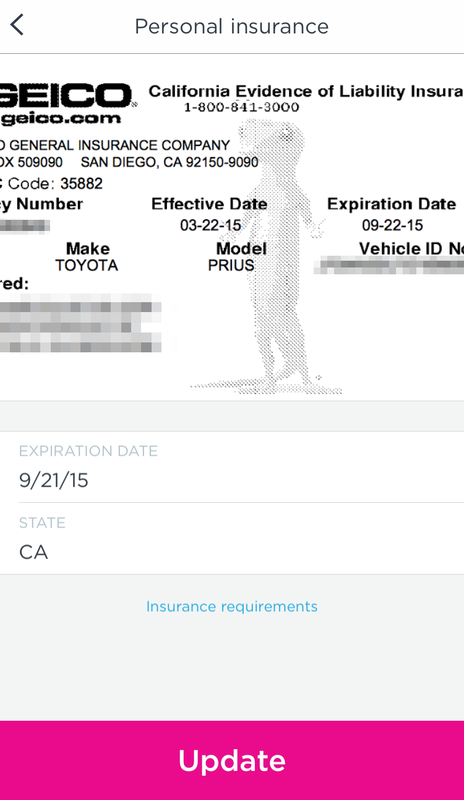 Take a photo (or choose an existing photo) of your insurance. Make sure everything listed above is included, and tap 'Use' in the top right. Fill out the information listed: expiration date, state, and check the boxes. Tap 'Submit' and you're good to go! A member of our team will look it over for approval. 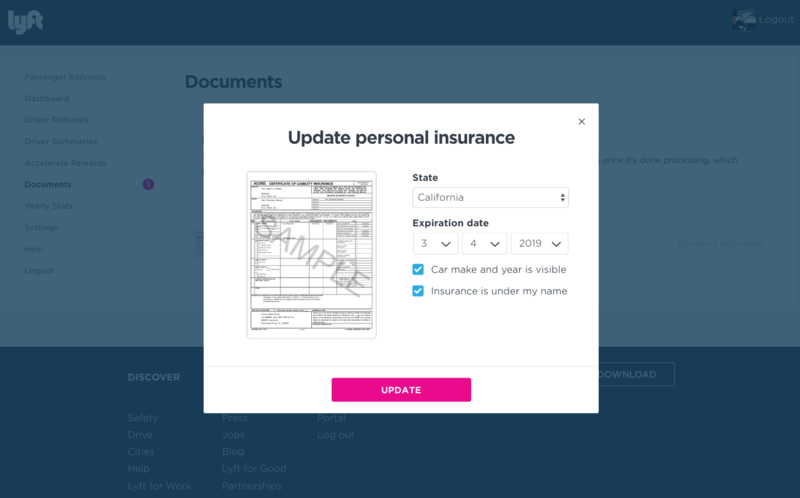 Drag the image of your insurance into the designated area or click 'browse' to select the file on your computer. We don't accept PDFs, so use JPEG and PNG file types. 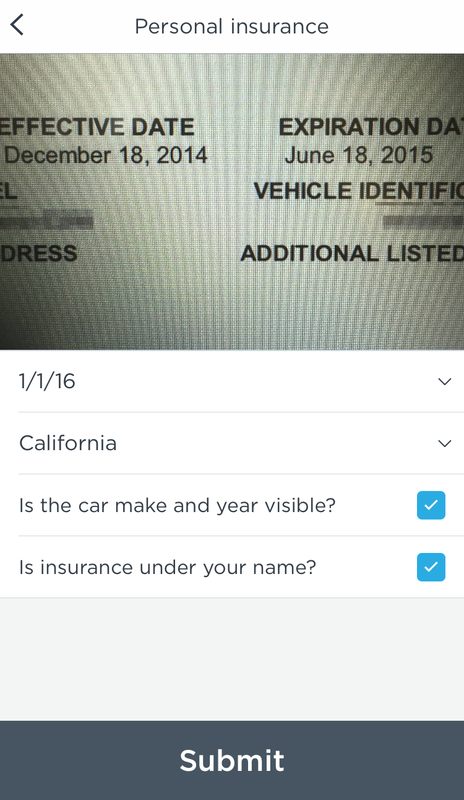 Select the State, Expiration date, and verify your insurance document meets the requirements. Click Update and you're all set! We'll be in contact with you shortly once we've had a chance to look it over. If you're having any issues uploading your insurance through the app, send us a clearly visible, sharply focused screen shot or photo of your insurance by tapping 'Contact Support.' Tap 'Attach file' to add the photo to your message.